Hi Jan, I have a very simple question that I can't seem to find the answer to anywhere....Which North Nodes are a strong relationship match to Taurus North Nodes? Any suggestions are helpful. Actually, the real answer goes deeper than that. Check out COSMIC LOVE. Your North Node/South Node connections with the planets of the other person you are attracted to will be the best gauge for compatibility from a nodal point of view. Part III - The Aspects -- is the section to check. 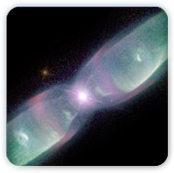 Alternately, check out the Honoring Past Life Connections report on the website. I am reading your NEW Moon book and do we create a treasure map on March 20, Vernal Equinox date, or do we create it on March 30th, the new moon going into Aries? I'm so glad you mentioned that you have the book New Moon Astrology. If you'll refer to page 15, you can read more on treasure mapping during the Spring Equinox. It says, in short "Use the time of the New Moon following the Spring Equinox for creating your map." Then, on page 16 it says:"The window of opportunity for completing your Spring Equinox Treasure Map is within the first two days after the New Moon in Aries." Tomorrow Oct 15. the New moon is in Libra...but void a course all day then goes into Scorpio pacific time 5:06PM. So, how can I do new moon wishing tomorrow evening for Libra when it will actually be in Scorpio. What am I missing here? The New Moon this month is in Libra-- after it conjoins the Sun in Libra it goes void. Hence, the new beginnings that occur are in the sign of Libra. It is the Sun that is the power here, the Moon merely triggers a new beginning in the areas of life ruled by the Sun. As an aside, because the Moon is void after the conjunction with the Libra Sun, it does signify unexpected new realizations in significant relationships until the month of Libra next year. This is a good thing-- at least it won't be the same old way of viewing relationships that we have had in the past! When the Moon is Void, the timing is good for being receptive to new insights but not so good for initiating new action because the atmospheric energy is not clear and direct. Thus the activity of wishing is best initiated when the Moon is not void (which in this case means that the Moon will be in Scorpio). Nonetheless, it is the areas of life ruled by Libra that are the subject matter of this New Moon. For the most powerful results, the 'bottom line' in wishing is to be sure to include each month wishes involving the two or three yearnings that are closest to your heart. These things may or may not change over time. Hi Jan. I have been reading your column in the Dell astrology magazine for years. Enjoy it a lot. And I own a couple of your books. Great reading. I am really a novice, which is why you will probably understand my question. My question relates to how to determine my rising sign and degree based on how my time of birth was written on the birth certificate. Yes... Cook County is the one part of the country that has confusion over this issue in the summer months in those years. If you enter your birth data into an astrology programmed computer: 10:22am- the program will automatically 'assume' you mean CDT and give you the 11degree Virgo rising. So when you enter your information, 10:22 CST time = 11:22am CDT (an hour ahead for daylight savings) - you still have a Virgo rising, but its at 23 degrees. The printout will say '11:22am CDT', which is the same thing as 10:22 CST). It's a very different chart, and moving your Sun from the 11th to the 10th house- making your profession the area of your life that really feeds you energy. I have no idea where your friend got the Libra rising idea. Would a Mercury retrograde period be the right time to bring forward relationship topics for resolution? New beginnings.It is not an emotional full moon. I know that Mercury is not the time for communication or projets for decisions but unhonored relationshps may have their own energy?.. It sounds like you feel the time is right for a long withheld communication? If the results of the conversation are really important to you I would suggest using the days of this Mercury retrograde cycle for more deeply looking at the situation - considering what they may want in the relationship at this point as well as your desires. Consider different ways to present the topic and get more deeply in touch with the outcome you would like to have happen from the conversation. Communication is more than just a 'discharge' of thoughts and feeling... what do you hope to accomplish? Naturally, in an emergency you do what you have to do regardless of whether or not Mercury is retrograde. The cautionary note is that the other person may have a more difficult time easily understanding what you are saying - and visa versa - so its starting out with a couple strikes against you if you're looking for a real new beginning in the relationship.